Brad Thomison is the Founder and CEO of Light And Sound Spa. He is a 2012 graduate from Body & Soul Massage School in Wichita, KS. He is professionally trained in all services offered at Light And Sound Spa. Brad's approach to massage therapy goes beyond just relaxation. His therapeutic approach to massage incorporates detailed anatomical study and partnership with other medical professionals in an effort to bring healing to client's issues. Initial consultations include discussions of clients' goals for massage and development of a treatment plan which focuses on a holistic treatment process to produce real and lasting healing for every client. 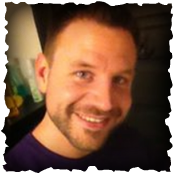 Brad is a graduate of Body & Soul Massage School in Wichita and Wichita State University. He completed his Bachelor's of Music Education degree with an emphasis in special education. During his course of study, Brad explored the therapeutic use of music for adapting standard education practices for students with special needs. This study serves as the foundation for Brad's use of music and sound therapy during every massage. Brad is continuing his education and professional development at Phillips Theological Seminary in the Master of Divinity program. He is thrilled to explore the spiritual aspects of our our human experience and incorporate his knowledge into his massage therapy practice. Brad is the former Executive Director of of a local non-profit Hope Street Youth Development and has worked as a Project Manager for the Information Services department of The Coleman Company. Brad's diverse collection of experiences and international business experience make him an energetic entrepreneur and proud member of Wichita's small business owner community. Joshua Pfister is a massage therapist at Light and Sound Spa. He received training in Reflexology from Butler Community College, and a certification in Swedish Massage from Body and Soul Massage School in Wichita. He also received a Bachelor of Science in Computer Information Systems and a Master of Business Administration from DeVry University in Kansas City. Joshua has always been a strong believer in the healing and relaxing abilities of massage. After several years in the corporate world, he decided to go back to school to learn massage, and has enjoyed working with clients ever since. He is very excited to be offering massage and Light and Sound Spa.